Twelve specialized Master's degrees. Six MBA formats. Twenty-six graduate and professional certificates. Whether you choose to study on campus or online, we provide an educational fit for all types of students. You'll also reach your goals in less time with our combined degrees as well as new opportunities like our 4+1 Program, which allows you to complete both a Bachelor's and a Master's degree in five years. At the GW School of Business (GWSB), you're more than just a student — you're part of a community of lifelong learners. Earn a graduate certificate one year, and return later to fold it into a Master's degree. Combine certificates and courses to create a program that's tailored to your vision. Whatever your path may be, when it comes time to enhance your skill set or retain your competitive edge, we have a program designed to fit every stage of your career. Our newly-redesigned Graduate Online Programs allow you to have an on-campus experience from anywhere in the world without sacrificing academic quality or professional opportunity. Our instructional designers have created three new degree programs that allow you to jumpstart your career in business with an education that's tailor-made by you: Master of Interdisciplinary Business Studies, Master of Science in International Business, and Master's in Management. 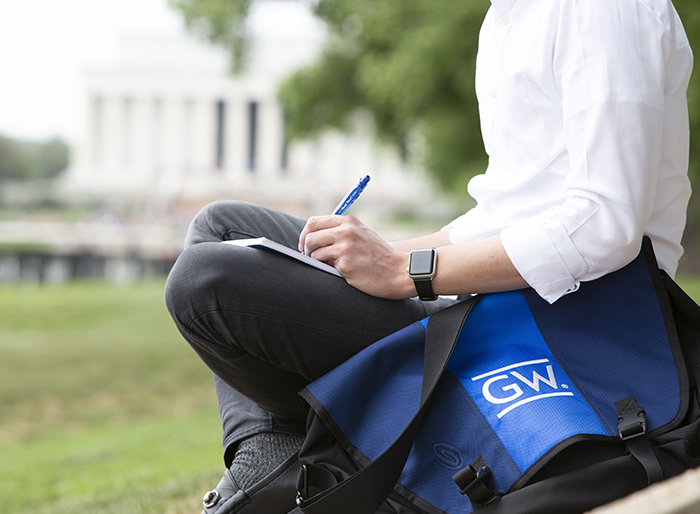 The 4+1 Program at the GW School of Business provides the option to share up to nine credit hours between an undergraduate and a graduate program, allowing full-time students to complete both a Bachelor's and a Master's degree in five years. The GW School of Business consistently ranks high among its collegiate competitors. Our graduates possess the knowledge and critical thinking skills to make a positive impact in their chosen career fields. 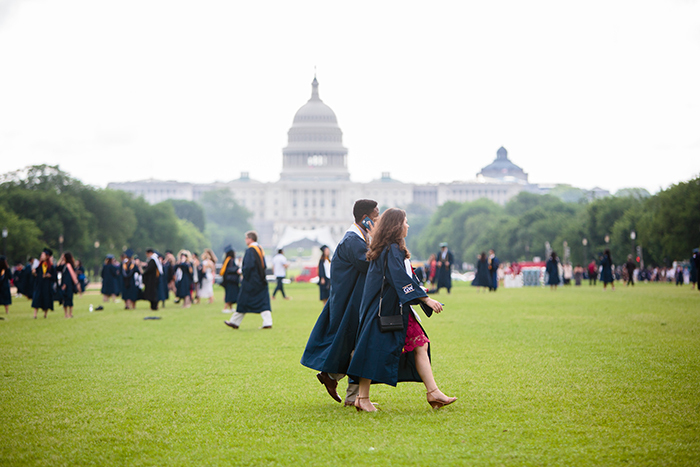 Located in the heart of Washington, D.C., where business and policy intersect, the GW School of Business affords students unmatched access to unique learning experiences and internship opportunities. 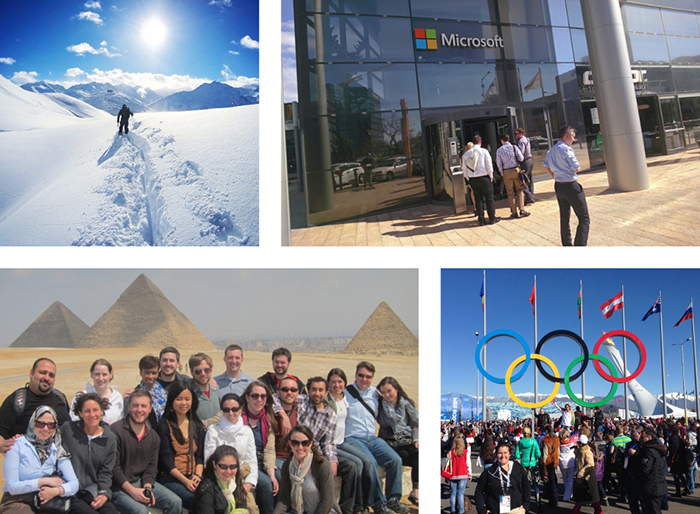 GWSB students pursue expertise in the world of business from an enviable vantage point. Our Global & Experiential Education program offers direct exposure to today's business problems and gives you the opportunity to create real-world solutions by connecting academic theory and practice for a live client here in the U.S. or abroad. Dean Mehrotra revealed plans for our new suite of graduate programs, including an accelerated MBA, 4+1 programs that allow completion of a bachelor's and a master’s degree in five years, expanded online offerings, and customized degrees based on “stackable” courses and certificates. The GW School of Business Online MBA program moved up 14 spots in the latest online graduate programs ranking.